A Jesus fish ichthus pendant crafted in 14k solid yellow gold with the name of the Lord Jesus compromising the fish shape of the pendant. The 14k gold pendant measures approx. 1" tall. Add a 14k solid gold box chain to it to make it a necklace or wear it with a necklace of your own. 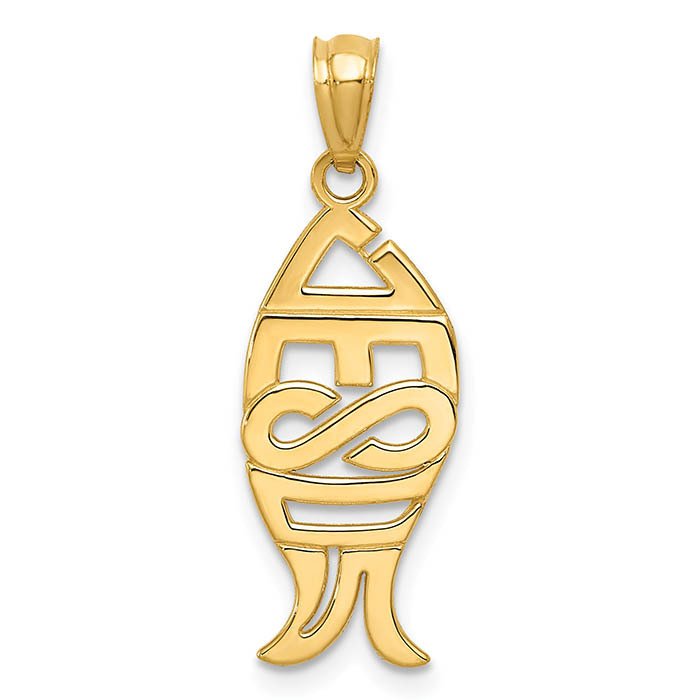 We guarantee our Jesus Fish Pendant in 14K Gold to be high quality, authentic jewelry, as described above.